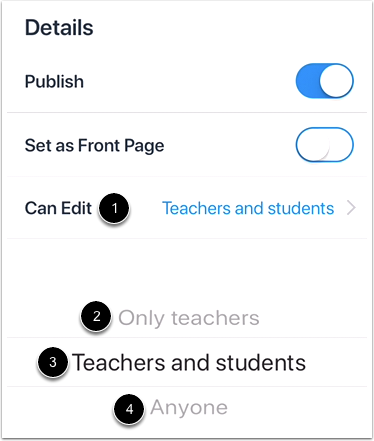 How do I view Pages in the Teacher app in my iOS device? 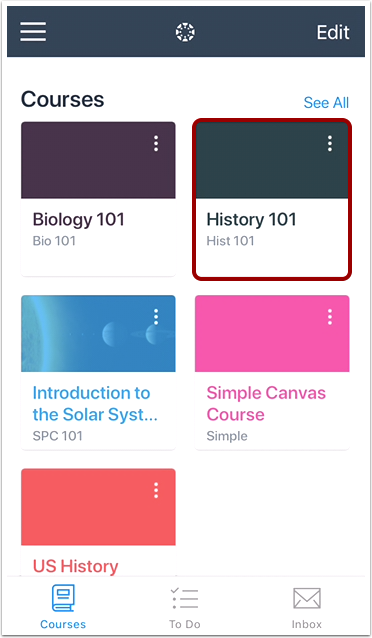 In the Canvas Teacher app, you can view your course pages. 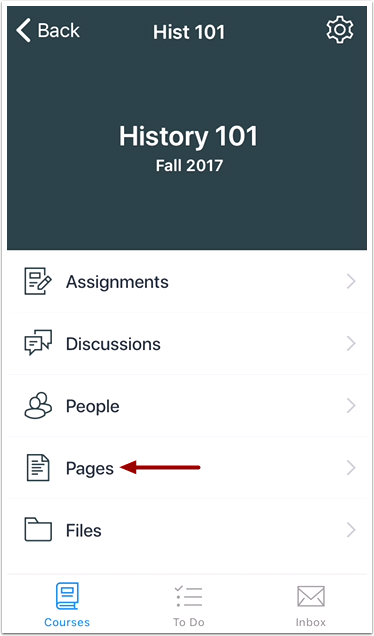 Pages will display all your course pages. 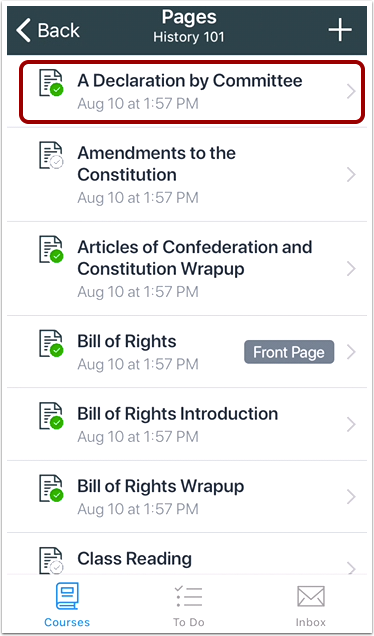 Published pages display a green Checkmark icon . Unpublished pages display a gray Checkmark icon . The front page of the course is indicated by the Front Page label . To open a page, tap the name of the page. To edit your page, tap the Menu icon  then tap the Edit link . To delete your page, tap the Delete link . Note: Pages that are set as the Front Page cannot be deleted. 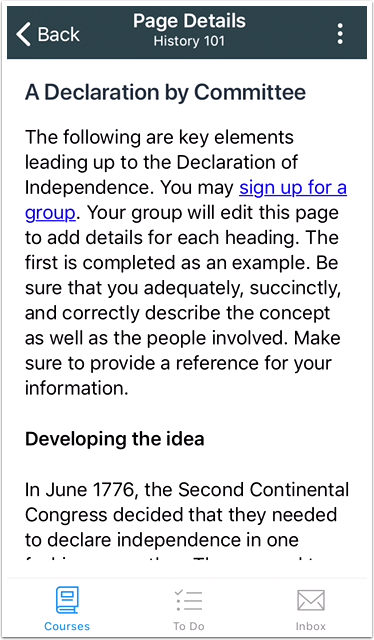 To edit the title of the page, enter the page name in the Title field . To edit the description, enter your changes in the Description field . To publish or unpublish the page, tap the Publish toggle button . To set the page as the front page, tap the Set as Front Page toggle button . 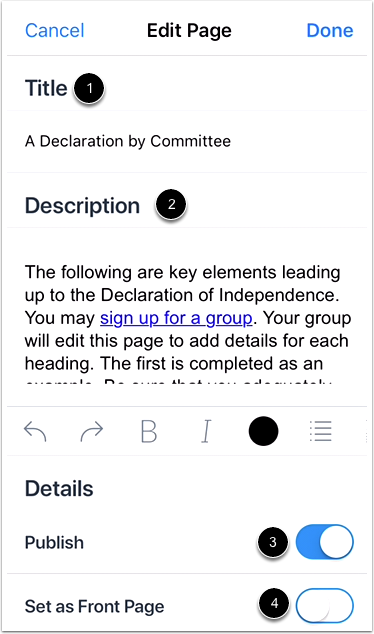 To manage who can edit the page, tap the Can Edit menu . 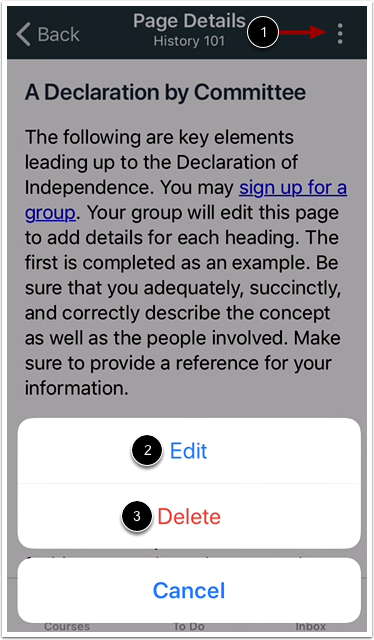 Then select who can edit the page from the following options: only teachers , teachers and students , or anyone . Previous Topic:How do I add a new file or folder to a course in the Teacher app on my iOS device? Next Topic:How do I view People in the Teacher app on my iOS device? 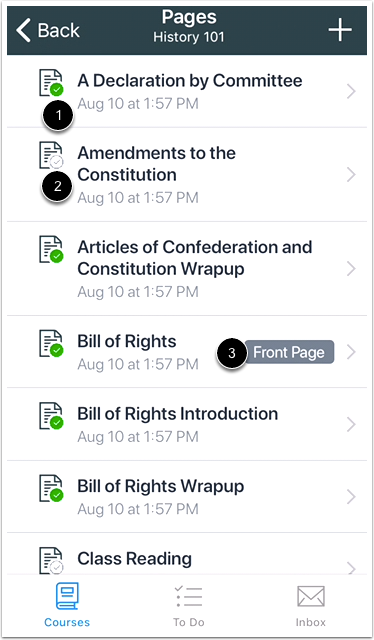 Table of Contents > Courses > How do I view Pages in the Teacher app in my iOS device?